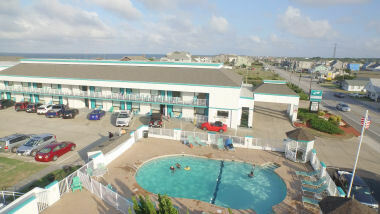 Our Kill Devil Hills hotel offers a variety of hotel rooms perfectly suited for your next Outer Banks vacation. 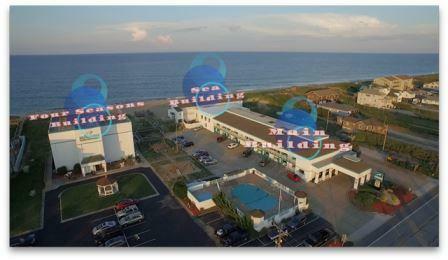 All hotel rooms located just steps from the widest beach in Kill Devil Hills, Outer Banks. Sea Building hotel rooms literally sit on the beach with no obstructing dune separating hotel rooms from the Nags Head beach. First floor hotel rooms walk right off the patio and onto the beach. 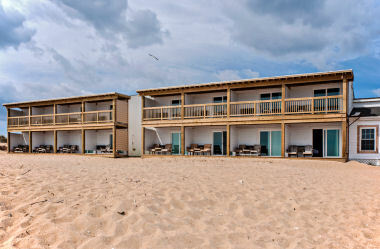 Second floor hotel rooms offer private oceanfront balconies and even better views of the Outer Banks beach. Sea Building rooms have 2 Queen beds or 1 King beds. 1st floor accessible by ramp. Pet & Non Pet rooms available. FULLY RENOVATED ROOMS FOR 2019 Major updates are coming! Building is closed from Oct 2018 - April 2019 for complete overhaul! These oceanfront rooms are either 2 double beds or a king hotel rooms, all with private balcony or patio overlooking the beach at Kill Devil Hills. 3rd & 4th floor hotel rooms offer clear views of the ocean and the Outer Banks. 2nd floor hotel rooms provide oceanviews. 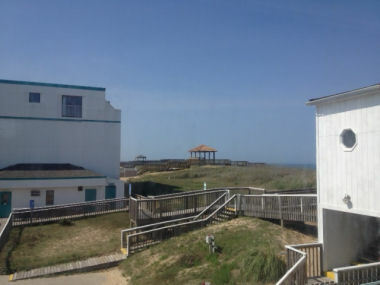 1st Floor motel rooms provide easy access to the Nags Head beach with a private ground level terrace. This is fully non-pet building. These spacious rooms allow for super easy access beach, and are just to the West of Sea Building. 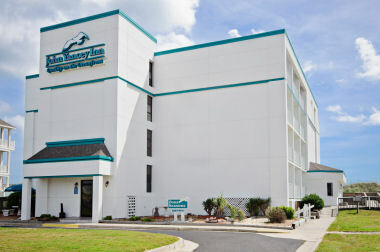 Hotel rooms are located on the 2nd floor, some face north with ocean view, others facing south. These rooms do not have balconies, but 2 sets are adjoining, one with a sleep sofa. This is a Pet Friendly building. These rooms allow you to park outside your room for easy access for beach gear. Motel rooms are located on the 1st and 2nd floors, on the North side the hotel rooms overlook the pool area, playground & BBQ areas. We offer lounge chairs to enjoy the excellent beach weather. This is a Pet Friendly building.